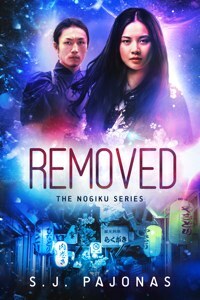 This is a post from the Nogiku Series Blog Tour! Want to read the first book in the series for free? Get REMOVED and other free books by signing up for my newsletter! There are few things on earth more Japanese than tea. From the frothy green matcha tea of tea ceremonies and green tea ice cream to the sushi bar green tea drank after a meal, tea is synonymous with Japan. Japan has had a long history of tea culture spanning as far back as 805 when it was brought over to Japan from China. For many centuries, Japan and China held a sort-of international cultural exchange and tea was amongst many of the things brought back including poetry, the kanji writing system, and Buddhism. But Japan has made tea its own over the centuries, developing many different varieties and methods of curing. I especially love Japanese sencha tea. Though I drink a lot of Irish Breakfast, Japanese sencha and white teas are my alternate teas of choice. The funny thing about tea is that I love it, but the heroine of REMOVED and RELEASED, Sanaa, despises it. She’s a coffee girl in a sea of tea fanatics, often lamenting that she’s the only one that drinks coffee. She feels like she doesn’t fit in amongst her Japanese compatriots and tea is just one of the many ways its expressed. So I, as the author, go to great lengths to win her over with tea. Mark Sakai, her mentor, is my weapon of choice, and I always get him to introduce new teas to her. This is the way I torture my characters. (Insert evil laugh). A chashitsu is a tea house (cha meaning “tea” and shitsu meaning “room”) usually free-standing but sometimes only a room within a private house. It is a place exclusively built for tea ceremonies and their associated meals. During the times of the samurai and the shogunate in Japan, quiet and lengthy tea ceremonies were times when negotiations were made between clans or family members. The tea house was considered neutral ground, a place where everyone could come and feel safe for their stay. A chashitsu as pictured above is usually a low, free-standing structure, with a thatched roof. Some chashitsu include porches or balconies to outside gardens that are considered to be a part of the tea house grounds. The inside space can range from anything as small as a three tatami mat room (approximately 6ft x 9ft) to several rooms with a kitchen, bathroom, and a greeting room. Inside a tea ceremony room, a guest can most likely expect a light meal in the kaiseki style, a set menu featuring many dishes of meticulously prepared foods from local and seasonal ingredients. After the meal, a tea ceremony is performed. 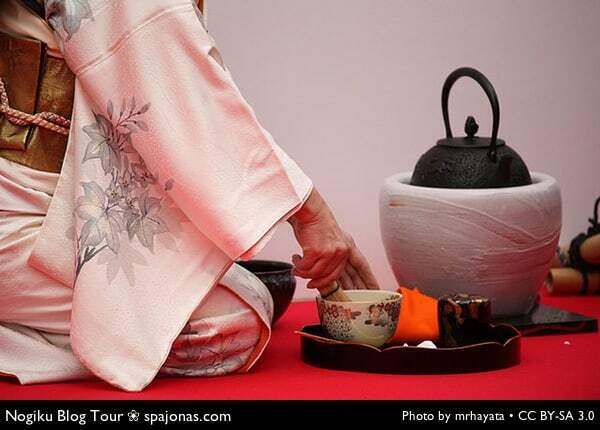 The tea ceremony is a structured ceremony with certain hand movements and rituals made in a prescribed manner. Many of the movements allow for the kimono worn by the practitioner to be moved out of the way. 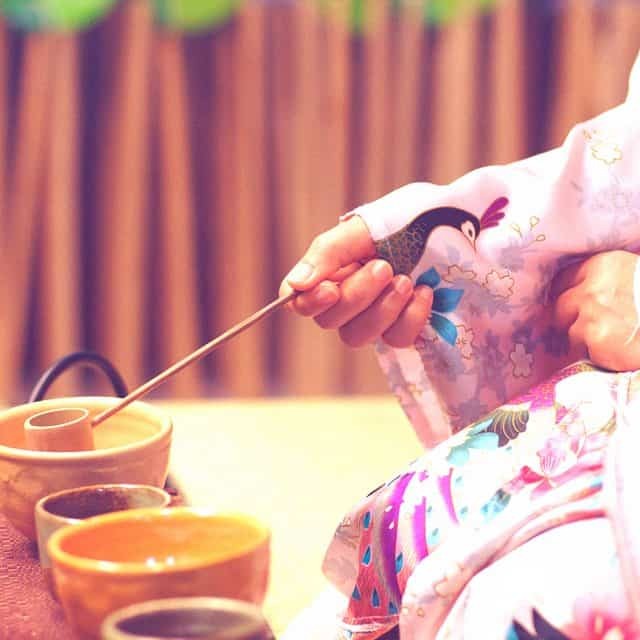 There are also many different kinds of tea ceremonies that can be performed depending on the region of Japan, the types of pots or cups used, the occasion, school, and types of tea (amongst many other factors), so the variety of tea ceremonies one can witness in a lifetime are practically limitless. 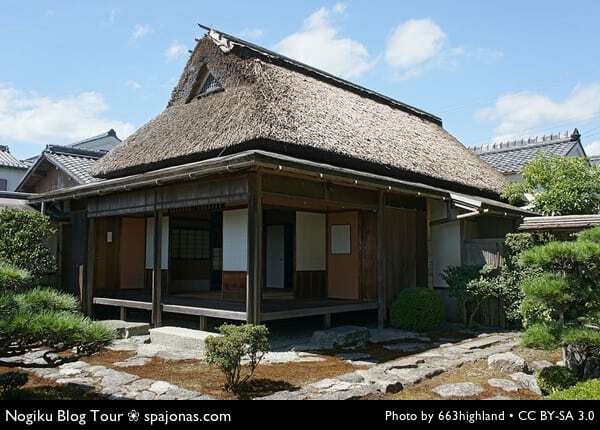 When choosing a name for the tea house that I feature in RELEASED, Book TWO of the Nogiku Series, I did research first on how one names a tea house. As you can imagine, many parts of the Nogiku Series require extensive research and this was no exception. Names usually include the character for “hut” (-an, 庵), “hall” (-dō, 堂) or “arbour” (-tei, 亭) and feature a simplistic form of nature close to its Buddhist roots. Some of the more famous tea house names in Japan are: Konnichi-an (Today hut), Fushin-an (Doubting hut), Mufū-an (Calm hut), and Shō-an (Pine hut). When faced with naming my own tea house, I sat and thought about the location of Nishikyō, the domed city in which everyone lives in REMOVED and RELEASED. It is a Japanese-based city, but those who have not read the books will be surprised to learn that the city is not actually in Japan! It was built to house the last of humanity in the coolest and most undeveloped place city architects could find at the time of construction, Northern Canada. Since the building of Nishikyō, most of Earth has declined to a desert wasteland so nature in and of itself is far from being present in the everyday lives of its citizens. With Nishikyō residing in Canada, I decided the best name for the tea house should be Shōfū-an, Maple hut. This little detail may have escaped most readers of the book, but it’s one I’m most proud of. It would be remiss of me not to point you to many great tea house resources. First, you should definitely check out the wide variety of tea house photos on Flickr. New photos come in everyday from Japanese teahouses around the world where the “way of tea” is learned by new students. 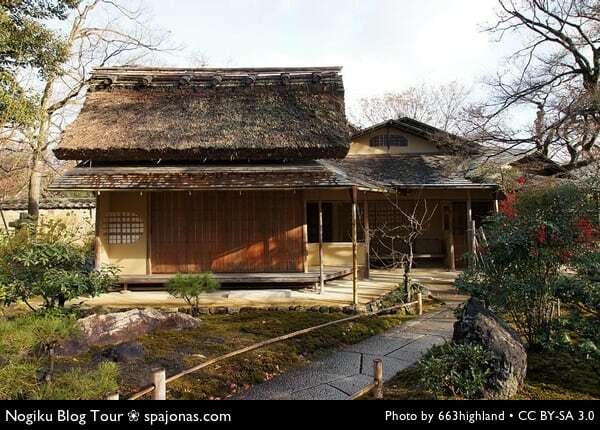 And please check out this Japanese Tea House Pinterest board I put together full of tea house images and information. Hope you enjoy them! All Posts from the Nogiku Series Blog Tour!